Can You Be Allergic to Fluoride? Though there is much debate whether fluoride is helpful or harmful, studies have shown that people have hypersensitive reactions to fluoride. As recognized by the Physicians’ Desk Reference (1994, 48th Edition, p. 2335-6), these symptoms include gastric distress, headache, joint pain, lethargy, mouth lesions, skin rashes, visual disturbances and weakness. The book also says, “These hypersensitivity reactions usually disappear promptly after discontinuation of the fluoride.” Assure a Smile has prepared this research article to spread awareness for fluoride allergy and to provide patients with alternative methods of preventing tooth decay. The Annals of Allergy (1967 July, 25, 388- 391) includes an abstract where, “Six children and one adult exhibited various allergic reactions after the use of toothpaste and vitamin preparations containing fluoride. The following conditions were encountered: urticaria [hives], exfoliative dermatitis [inflamed skin that results in scaling], atopic dermatitis [skin allergy; eczema], stomatitis [inflammation of the mucous lining of any of the structures in the mouth, which may involve the cheeks, gums, tongue, lips, throat and roof or floor of the mouth], gastro-intestinal and respiratory allergy. 1. Know the sources. Knowing the most common sources of fluoride is the first step in avoiding an allergic reaction or other toxic side effects. Toothpastes and mouth rinses are two common sources of which most individuals are aware. Identifying other sources like processed foods, drinks, and cookware is a bit more difficult. To learn more, please visit the Miami Dentist Blog article Fluoride: 5 Sources You Need to Know About. 2. Replace fluoridated items with non-fluoridated ones. After identifying the most common sources of fluoride, patients are encouraged to replace those items with non-fluoridated alternatives. 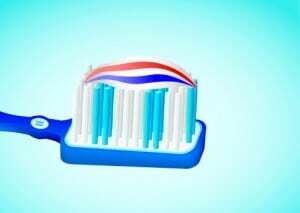 This could be as simple as switching from a fluoride toothpaste to a non-fluoride brand. Or, patients may also use water filtration devices to remove fluoride from tap water. 3. Choose a dental practice that understands the risks associated with fluoride. Although consumer products and public drinking water are a major source of fluoride, individuals still receive the most concentrated doses of this harmful mineral from traditional dental practices. This is typically administered by way of topical application during a routine teeth cleaning, often without the patient’s consent. To avoid this issue, patients must proactively engage their dental professional on the topic of fluoride and explicitly state that they do not wish to have such a topical application performed. Still, patients may be exposed to fluoridated water during routine check-ups, cleanings, and procedures. For patients who wish to avoid fluoride exposure during dental visits entirely, choosing a holistic dentistry practice is the safest option. Holistic dental professionals practice a minimally invasive approach to dentistry and use only the safest biocompatible materials. This typically means a “fluoride free” experience, however it is recommended that patients inquire about this specific issue prior to making an appointment. FULL TEXT – html: Allergy and hypersensitivity to fluoride. Spittle B. (1993). Fluoride 26:267-73. EXCERPT – html: Fluorides and human health. Prival MJ. (1972). Center for Science in the Public Interest, Washington D.C. pp. 23-25. FULL TEXT – html: Perioral dermatitis. Journal of the Association of Military Dermatologists. Mellette JR, et al. (1983). 9: 3-8. FULL TEXT – html: Fluoride tooth paste: A cause of perioral dermatitis. Mellette JR, et al. (1976).Archives of Dermatology 112: 730-731. FULL TEXT – html: Fluoride toothpastes: A cause of acne-like eruptions. Saunders MA. (1975). Archives of Dermatology 111: 793. FULL TEXT – html: Allergy to fluoride. Shea JJ, et al. (1967).Annals of Allergy 25:388-91. FULL TEXT – html: Allergic Reactions from Fluorides. Waldbott GL. (1958). International Archives of Allergy 12: 347-355.